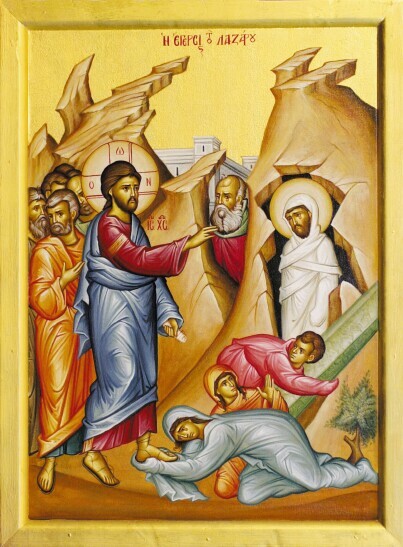 Today’s gospel reading of the 10 lepers (Luke 17: 12 – 19) is study of the Lord’s love for us and our tragic, human response to that love. Leprosy, was a fearful disease because it condemned the afflicted not only to death but also to a living social death as lepers had to be isolated so they could not infect others. Notice, that we are told nothing of the spiritual condition of these 10 men – we only thing we know is that one was a Samaritan (and hence a foreigner) and the others Judeans (and hence part of the believing flock). The Lord gave his healing to these ten men freely. Indeed God constantly pours forth into his creation. After all, does not He make his sun rise on the evil and good and sends rain on the just and unjust? (Matthew 5:45). Indeed, if God so loved the world that he gave his only begotten Son so that whoever believes in him shall not perish but have eternal life then how much more is he prepared to do for us so that we can be saved? The question now is: saved for what? The answer is: saved for life everlasting. When do we receive that gift? The answer is when we pass from this world into the next. Here’s the rub! We as a finite creatures ask God for things that are related to our finite condition. So, we ask for healing, freedom from pain, freedom from oppression, social justice and financial equality to name just a few. But look at our asking – which of our asking relates to life everlasting?. Indeed, even when out of the great goodness and love of God we receive temporary healing (and that is all it is because life itself is temporary) which of us responds in gratitude? It seems that in times of crisis we negotiate and plead with God. We become transactional. We fervently promise to do this if God gives us that. Yet, how quickly we forget. We look at our side of the bargain as being something that can be done at some time in the future whenever we have the time or inclination, whereas we are insistent that God give us what we want NOW. God desires nothing from us other than that we be saved. However, if we are not prepared to be saved he cannot save us. Of course, God could have created us without free will – robots, if you will, but then what would be the point of creation? We were made to praise God and to share in the goodness of his bounty. However from Adam we humans have used our free will towards our destruction rather than our salvation. Yes, just like the lepers in today’s reading we would take and not give praise. Praise and the giving or otherwise of it is our greatest strength and our greatest weakness. We need to give serious reflection as to what side of the divide that we are on. The programme for this week is simple – Saturday, 26 January divine liturgy in English 9.00 a.m. to 10: 15 a.m.
To those of you who have not explored our webpage please do so. On it you will find a great number of resources including a large number of sermons by me. Understanding the meaning of the gospel is obligatory for the believing Christian – so please freely use these resources. Our food store requires the following: oil, flour (plain and self-raising), sugar, coffee, tea, canned beef foods and ladies personal hygiene products. Also, I would be grateful if somebody could buy 50 disposable bags from Coles or Woolies as we have run out of bags to give groceries. Life constantly shuffles the cards and deals us a hand on a daily basis. On occasion, we win but generally our cards give nothing but misery, sorrow and pain. For all that, a Christian is obliged to play the hand as best he can. He can do no more. The rest is up to the grace and mercy of God.